It is a fact that it is ordinary people, activists, call them what you will, who now take decisions to change events. Has Israel lost it? Can the Gaza War of 2008-09 (1,300 dead) and the Lebanon War of 2006 (1,006 dead) and all the other wars and now yesterday’s killings mean that the world will no longer accept Israel’s rule? You only have to read the gutless White House statement – that the Obama administration was “working to understand the circumstances surrounding the tragedy”. Not a single word of condemnation. And that’s it. Nine dead. Just another statistic to add to the Middle East’s toll. In 1948, our politicians – the Americans and the British – staged an airlift into Berlin. A starving population (our enemies only three years before) were surrounded by a brutal army, the Russians, who had erected a fence around the city. The Berlin airlift was one of the great moments in the Cold War. Our soldiers and our airmen risked and gave their lives for these starving Germans. Incredible, isn’t it? In those days, our politicians took decisions; our leaders took decisions to save lives. Messrs Attlee and Truman knew that Berlin was important in moral and human as well as political terms. And today? It was people – ordinary people, Europeans, Americans, Holocaust survivors – yes, for heaven’s sake, survivors of the Nazis – who took the decision to go to Gaza because their politicians and their statesmen had failed them. Where were our politicians yesterday? Well, we had the ridiculous Ban Ki-moon, the White House’s pathetic statement, and dear Mr Blair’s expression of “deep regret and shock at the tragic loss of life”. Where was Mr Cameron? Where was Mr Clegg? Back in 1948, they would have ignored the Palestinians, of course. It is, after all, a terrible irony that the Berlin airlift coincided with the destruction of Arab Palestine. But it is a fact that it is ordinary people, activists, call them what you will, who now take decisions to change events. Our politicians are too spineless, too cowardly, to take decisions to save lives. Why is this? Why didn’t we hear courageous words from Messrs Cameron and Clegg yesterday? For it is a fact, is it not, that had Europeans (and yes, the Turks are Europeans, are they not?) been gunned down by any other Middle Eastern army (which the Israeli army is, is it not?) there would have been waves of outrage. And what does this say about Israel? Isn’t Turkey a close ally of Israel? Is this what the Turks can expect? Now Israel’s only ally in the Muslim world is saying this is a massacre – and Israel doesn’t seem to care. But then Israel didn’t care when London and Canberra expelled Israeli diplomats after British and Australian passports were forged and then provided to the assassins of Hamas commander Mahmoud al-Mabhouh. It didn’t care when it announced new Jewish settlements on occupied land in East Jerusalem while Joe Biden, the Vice-President of its erstwhile ally, the United States, was in town. Why should Israel care now? How did we get to this point? Maybe because we all grew used to seeing the Israelis kill Arabs, maybe the Israelis grew used to killing Arabs. Now they kill Turks. Or Europeans. Something has changed in the Middle East these past 24 hours – and the Israelis (given their extraordinarily stupid political response to the slaughter) don’t seem to have grasped what has happened. The world is tired of these outrages. Only the politicians are silent. 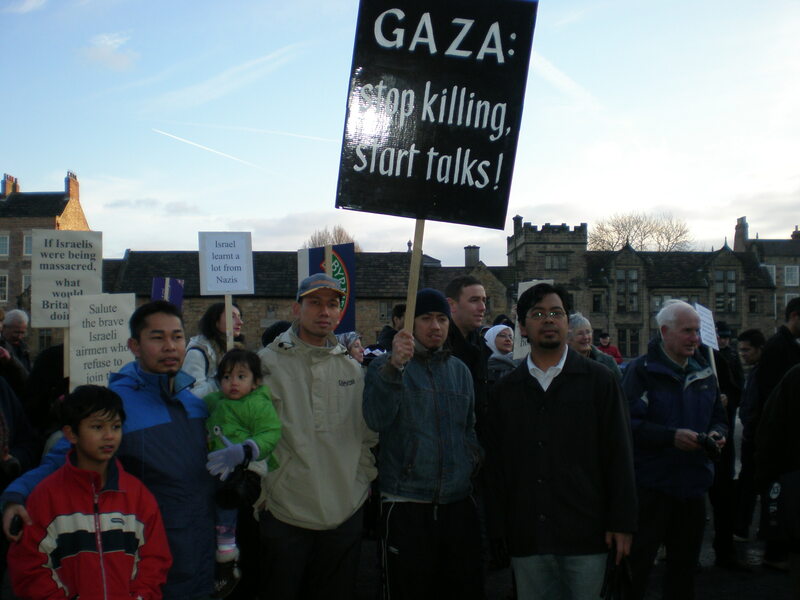 Israel launched Operation Cast Lead in December 2008 with the declared aim of halting rocket fire from Gaza into Israel. More than 1,400 Palestinians were killed in the three-week conflict along with 13 Israelis. The South African jurist Richard Goldstone’s report into the conflict found both Israel and the Hamas movement that controls the Strip guilty of war crimes, but focused more on Israel. Israel refused to co-operate with Goldstone and described his report as distorted and biased. Britain and Australia expelled Israeli diplomats after concluding that Israel had forged British and Australian passports used by assassins to kill a Hamas commander in Dubai. Israel has neither confirmed or denied a role in the killing of Mahmoud al-Mabhouh in his hotel room in January. Britain said such misuse of British passports was “intolerable”. Australia said it was not the behaviour of “a nation with whom we have had such a close, friendly and supportive relationship”. Israel announces plans, during visit by US Vice-President Joe Biden, to build 1,600 homes for Jews in an area of the West Bank annexed by Israel. The announcement triggers unusually harsh criticism from the United States. Washington said it damaged its efforts to revive the Middle East peace process. US Secretary of State Hillary Clinton said the project was an insult. Netanyahu said he was blindsided by planning bureaucrats and apologised to Biden. Today’s meeting with Barack Obama at the White House, called off by Mr Netanyahu so he could return home to deal with the flotilla crisis, was supposed to be another part of the fence-mending between the two allies. Israel, widely assumed to have the Middle East’s only nuclear arsenal, has faced renewed calls to sign a global treaty barring the spread of atomic weapons. Signatories of the Non-Proliferation Treaty (NPT) last week called for a conference in 2012 to discuss banning weapons of mass destruction throughout the Middle East. The declaration was adopted by all 189 parties to the NPT, including the US. It urged Israel to sign the NPT and put its nuclear facilities under UN safeguards.